The sapphire is a precious gem that offers a large variety of colour including pink. That does not change the fact that the Pink Sapphire is just as beautiful as it is rare. Looking at the material itself, experience has taught us that its differences and its flaws that make it a unique and beautiful stone. Because of its pink colour, the stone symbolizes seduction, romanticism, and femininity. Making The best choice when buying a Pink Sapphire. It is the presence of chrome that makes this stone pink. 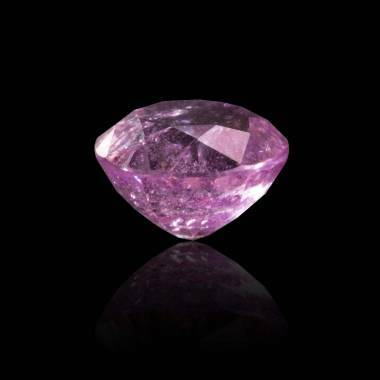 The Pink Sapphire comes predominantly from Sri Lanka and Madagascar. Gems that come from this area are the best because they have a very beautiful purity and small quantity of inclusions. Their clarity is visible to the naked eye. The Pink Sapphire is pretty dense. Consequently, its price is dependent on its weight. The heavier it is in carats, the more expensive it is. You must not base your decision to much on the size of the stone. A Pink Sapphire can be smaller than other precious stones and may have more carats than other precious stones. Like most precious stones, the colour is the most important criteria in buying a Pink Sapphire. The intense, lively, and supported is the most sought after colour. The other shades which are more clear or a more medium Pink are less sought after.